Natural Stone’s hardness varies from stone type to stone type. Not all granites are the same hardness and not all marbles are as soft as each other. 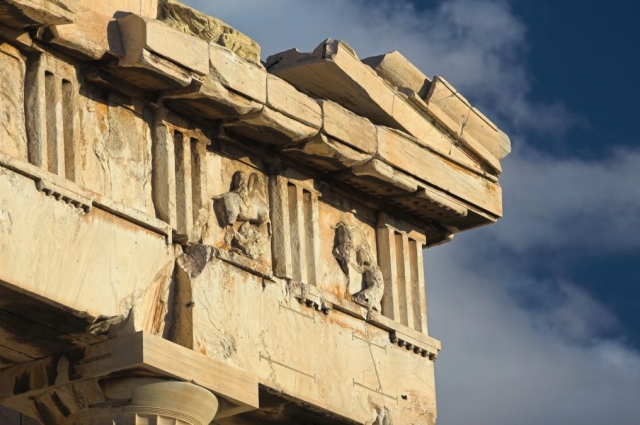 Therefore, generalizations about stone types and use may be misleading. Generally speaking, granite is very hard and resistant to scratches and heat. Again, generally speaking, marble is soft and vulnerable to scratches and staining. This is why granite makes an ideal stone choice for kitchen counter-tops and marble is most frequently used in bathrooms on walls, floors, and vanity tops. 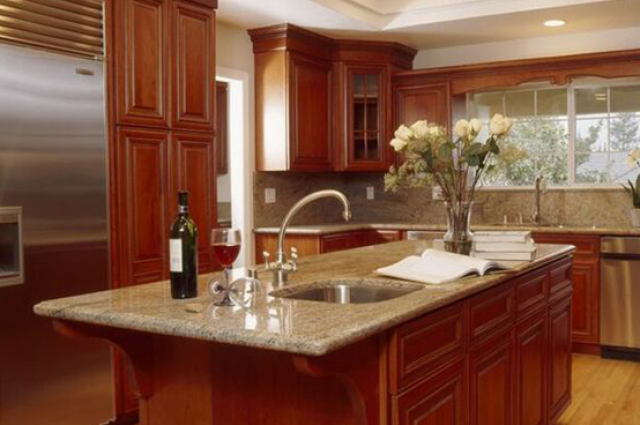 Most granite never needs to be sealed and is very resistant to water penetration and staining. This is not true for all granite stones; therefore we recommend sealing granite at least annually, as you cannot over seal it. If water penetrates the surface and the stone darkens in color when wet, this is a strong indication that your stone is vulnerable to staining and should be sealed. Using the right sealer is important. Clean the surface with mild dish soap, rinse with fresh water, then dry with a soft cloth. Do not use cleaners with abrasives in them as it may dull the finish. The Marble institute recommends periodically using stone wax or car wax to protect from water penetration, staining and dulling. To avoid scratching, chipping and cracking, do not drop or drag objects across the surface. This may scratch or chip the surface, so take care not to. Do not stand or sit on top of your counters. Excessive weight may crack or break the stone, especially in front of or behind the sink or cook-top. In those spots the stone is especially thin. To avoid staining, use trivets or coasters, clean spills as they happen and avoid acidic substances such as citrus, tomato based products and wine. See below for annual care. Re-sealing your stone is at least an annual task. If your kitchen counter is used every day by a large family, or even lightly used, but harshly, it may be required more frequently. The water test (if it darkens when wet) is an easy and quick way to tell if you need to reseal your stone surface right away. 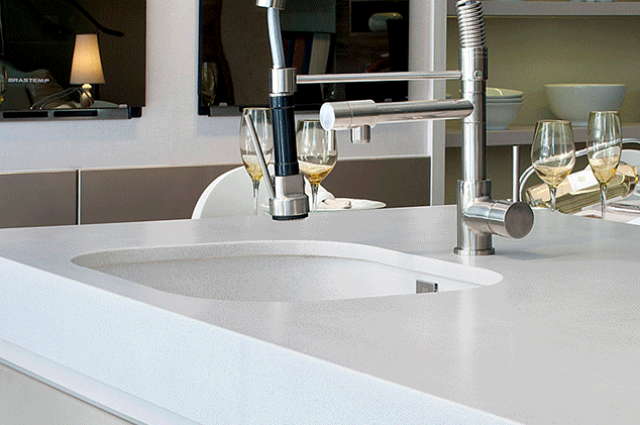 Think of your counter top like your car finish. If you want your counter-top to always look new, you keep it clean, keep it waxed and don’t let people drag objects or hit your finished surface. You protect it and care for it and think before placing objects on top of it. You wouldn’t walk across your cars roof so when it comes time to change the light bulb above the sink, get a ladder or step stool instead of climbing on top of your counter top.